Search Beaufort SC for Deep Water, Tidal Creek and Marsh View Property. 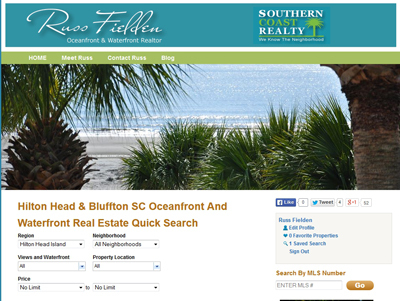 You can use the links in the sidebar to find waterfront real estate in the main areas of Beaufort. You may also use my Hilton Head and Bluffton SC oceanfront and waterfront website.